Question: My husband passed away and now his adult children are asking about things he owned before we married. He died without a will. Do I get to keep his property, or do his adult children get them? They had their own separate lives, but now are trying to load up his possessions and leave with them. They also mentioned his half of the community property. You may be surprised to hear the answer to this scenario. This situation happens all the time in Louisiana: a married individual dies in Louisiana without a will and they owned separate property (movable or immovable property purchased before marriage). First, let’s discuss the difference between separate and community property. Property of married individuals is classified as either separate or community property. To simplify: Separate property is property purchased before marriage. Community property is purchased during the marriage. Obviously, there are a few exceptions. The separate property of a spouse is his/hers exclusively. It comprises: property acquired by a spouse prior to the establishment of a community property regime; property acquired by a spouse with separate things; property acquired by a spouse by inheritance or donation to him/her individually, etc. Community property comprises: property acquired during the existence of the legal regime through the effort, skill, or industry of either spouse; property acquired with community things, etc. There is a presumption that things in the possession of a spouse during the marriage are community property, but either spouse may prove that they are in fact separate property. Now that we understand the difference between community and separate property in Louisiana, let’s take a look at the question at hand. When a spouse dies intestate (without a will) his separate property reverts back to his family unless he has a will stating otherwise. In this example, the husband died intestate (no will), so his separate property will go to his children. What about His Half of the Community Property? Community property works differently than separate property. While they may get his separate property in full ownership, they won’t get full ownership his half of the community property. Not yet anyway. Since he did not execute a will giving you either full ownership or a lifetime usufruct; his children will essentially share ownership with you. Basically, his children will have naked ownership of your spouse’s half of the marital property and you will be granted what’s known as usufruct. Usufruct gives you the “use” of the property. You don’t have full ownership and the type of usufruct granted by Louisiana Intestate Law only lasts until you die or remarry, whichever comes first. Will I Lose Usufruct If I Remarry? If there was no will stating that you have Lifetime Usufruct, then yes, your usufruct over your deceased spouse’s ½ of the community property will terminate as soon as you remarry. His or her children can petition the court to cancel your usufruct. I Don’t Like that Scenario. No surviving spouse does. It creates tension between heirs and surviving spouses all over Louisiana. It is one of the most asked succession questions at our law firm to date. If your spouse has already died, then no, it cannot be fixed or alleviated. The only way to protect a spouse from becoming part owners with adult children is to execute a valid Louisiana Will. In that will, you will need to either give your surviving spouse full ownership of your property or a Lifetime Usufruct. What’s the Difference between Full Ownership and Lifetime Usufruct? Full ownership means you own all aspects of the property. You can do anything you want with it and don’t have to give it to anyone else when that time limit expires. When you die, that property goes to your descendants. Lifetime Usufruct gives you “use” of the property until you die. It does not matter if you remarry, you still retain the ability to “use” the property. It does not expire until you do and your deceased spouse’s children cannot try and force you to sell or take it from you. When you die, the property will revert back to your deceased spouse’s children. How Do I Decide Which to Give? It depends on whether you wish to have your property revert back to your lineage. If you want your children to have your property back when your surviving spouse eventually dies, then do a Lifetime Usufruct in your will. If you don’t want or care if your children get your property when your surviving spouse dies, then you can give your spouse full ownership of your property. REMEMBER, this all has to be done by way of executing a will before you die! If you don’t, your spouse may end up facing some hardships that you didn’t plan for. You have no idea what your children or family members will do or how they will treat your surviving spouse when you die and there is nothing you can do about it AFTER the fact. I can tell you from experience that it isn’t always pretty. I’ve had to defend surviving spouses from adult step children that rose to the level of harassment in a recent Louisiana succession. This was a succession we were doing in Alexandria, Louisiana. These children didn’t care that their father loved his wife (their stepmother), the second he passed away they started fighting for the property. I hope this article shed some light on what can happen if you die without a will and what to expect during a Louisiana intestate succession when dealing with stepchildren. If you have any questions, please give us a call. If you are unsure, it’s best to speak with an attorney at the Andries Law Firm to formulate a plan to protect your family. This Louisiana succession article was written for informational purposes only. Do not use this article to make important legal decisions. Instead, contact our offices with any questions you may have about your specific legal situation. Nothing in this website itself constitutes an attorney/client relationship. Offices located in Alexandria, Louisiana, but we handle matters all over the state and are more than happy to help out of state clients file successions in Louisiana. Question: My husband and I purchased a home together and lived in it for 15 years. He died without a will. I know the home is community property, but his children (my stepchildren) are now saying they own the home and I only have usufruct of his portion. Can you explain this?! Unfortunately, this is a question our office receives regularly. This happens to a lot of people in Louisiana. Many believe they do not have enough assets to consider estate planning before they die; that it will be a waste of time -I can assure it is not and you should seek out an attorney to draft a will to ensure your wishes are carried out when you die. It is a wide misconception that the surviving spouse automatically owns the home in full ownership if the other spouse dies. The answer surprises many people. If you die without a will, Louisiana has a specific set of laws that determines where your property goes. It may not always be what the deceased wishes, which is why you should always execute a will if you are unsure, even if you don’t believe you have enough assets to mess with it. To answer the question: the surviving spouse owns her ½ of the marital home, but only has “usufruct” over her deceased husband’s ½ of the home. His children have “naked ownership” over his half. Usufruct is a Louisiana term that basically means “use.” You have been given the ability to use the property, while someone else (stepchildren in this case) also owns it in a different capacity. It’s an odd situation where you have one party that owns it, but cannot use it and another party that can use it, but has limitations on their use. How long does usufruct last? Without a will, usufruct is governed by Louisiana Civil Code article 890 and permits the individual to have use of the property until they die or remarry. Let’s say you remarry after ten years of your spouse passing; the children can make you move at that point because the usufruct has terminated. You still own your ½ of the community property, but the children now own their parent’s portion in full ownership and you will have to make other arrangements. Can you get a lifetime usufruct? I’m glad you asked. Yes, you can. You can execute a Louisiana will giving your spouse a lifetime usufruct over your half of the community property. This means your children cannot interfere and your surviving spouse will have “use” of the property until they die, regardless of whether they remarry. If you truly love your spouse you would probably want them to eventually move on anyway, this option gives the ability to have usufruct even when they finally remarry. What happens when a person granted lifetime usufruct dies? Then the property reverts back to the first to die spouse’s lineage. The children will then receive the property. This is a good way to give your spouse lifetime use of the property, but keep the property in your genetic line. Can I just give my spouse the property in full ownership? What are forced heirs in Louisiana? This is a term that describes individuals 23 years of age or younger or descendants of the first degree of any age who, because of mental incapacity or physical infirmity, are permanently incapable of taking care of themselves. You have to take great care with estate planning when you have a forced heir. I hope this discussion on whether your stepchildren can kick you out of the marital home has helped answer some of your concerns. The best thing you can do right now if this is something on your mind is to speak with our law firm about drafting a Last Will and Testament so that you will not have to worry about this situation in the future. This Louisiana estate planning and succession article is for informational purposes only. It should not be used to make important legal decisions. Please contact our office about your specific legal situation. Communication though this website does not in itself constitute an attorney/client relationship. "We help clients with probate matters all over the State of Louisiana." If you have found this article, chances are you live outside of Louisiana and need help with a Louisiana based Succession. Maybe you have a parent or sibling that died in Louisiana or owned real estate here and you need help wrapping up their final estate. Problem is you live a few states away and have zero contacts in the State of Louisiana. We help individuals living in other states file various types of successions in Louisiana, sometimes without even having to step foot in the state. We understand how difficult it can be learning a family member has passed away and you are a few states away and unsure of where to turn to for help. You could spend a small fortune driving back and forth to lawyer’s offices across states, or you can speak with us about handling the succession over the phone and we can come up with a plan that will save you time and money in the long run. Initial Consultation. We set up an appointment to speak with you over the phone to get a better understanding of your situation. There are never “cookie-cutter” solutions to Louisiana successions, every scenario is different and unique. During this phone conference, we gather the appropriate information regarding your family member’s estate and formulate a plan for you to begin the process. We can even take payments over the phone or you can mail your payment. Determine whether there was a valid Louisiana Last Will and Testament. If there was a will, we will need to locate the original to submit to the court. If there was not a will, we will go over and explain Louisiana’s intestate law with you and advise you of your options. Draft Petitions, Verifications, Court Orders and Other Related Matters. There are numerous petitions and documents that must be submitted to the court to satisfy Louisiana succession laws. Locate and Describe Property and Real Estate. This part can be time consuming as we must describe and value the property of the estate. It can be especially difficult if you are unsure of what your family member owned at the time of his/her death, but we can walk you through the steps to locating them. If there was a valid Louisiana Last Will and Testament naming you the executor of the estate, we can petition the court to have you recognized as the executor and issue Letters of Independent Administration to assist you in locating various bank accounts and insurance policies that you may be entitled to. Mail Documents For You to Verify and Sign. We will mail through certified mail all documents related to the Louisiana succession. The verifications must be signed in front of a Notary Public, but you can find one in your area and have them execute it. Next, you will mail the originals back to our office to process. File with Proper District Court. The succession must be filed in the Parish where your family member was domiciled (lived) at the time of his/her death. If they did not live in Louisiana, but owned real estate in the state, then the succession will be filed in that Parish. Wait for Judge to Sign. Once we complete the succession paperwork and receive all signatures and file with the proper District Court, we just have to wait for the Judge assigned to the matter to sign and execute the documents. As you can see, a Louisiana succession is not an easy matter to complete. There are numerous steps and laws to follow. You do not want to miss a single step as it could prolong getting the Judgment of Possession signed and cost you more time and money. Being a few states away, this can cause more stress and anxiety than it has to. If you are an out of state heir or just have questions regarding a Louisiana succession, please don’t hesitate to call our office. We’ve helped numerous out of state clients with successions all over the State of Louisiana and we would be happy to assist you as well. This legal article is meant for informational purposes only. It is not to be used solely to make legal decisions. You should speak with an attorney at our law firm regarding your specific situation. Communication through this website does not form an attorney/client relationship. Related Louisiana Succession Attorney Articles: Do I need to Hire a Probate Attorney?, How to Find out What Accounts a Deceased Individual Had, How Long Do I Have to File a Succession in Louisiana?, What Happens When a Spouse Dies Without a Will? How Do I Find Out What Life Insurance Policies or Bank Accounts a Deceased Person Owned? While there is no sure way to know for sure without some digging, (there is no registry for these accounts), there are a few ways you can begin your search. First, let’s talk about one way to find accounts that will take a great deal of leg work, but can be a fruitful endeavor. Let’s run an example: Mom died and left behind a last will and testament in Louisiana, naming Daughter as the executor of her estate. The other children are asking about other accounts that Mom may have owned and each gives stories about going to the such and such bank with her to make deposits. Daughter comes to our law firm and we set her up with paperwork to get her confirmed as the executor of Mom’s estate through the court system. The court then issues certified copies of what is called “Letters of Independent Executorship.” This gives Daughter the power to go to financial institutions where she believes Mom had accounts and do a search. The institutions she visits will then be able to disclose to Daughter account information upon presentation of the Letters of Independent Executorship. If you live in a small town with few banks, your search may not take long. However, larger cities could have you searching for days. Another thing you can do is check their mail. Statements usually come monthly, so you could theoretically locate the bank account information that way. If Mom set up her account to receive her statements electronically, you may have a harder time unless you know her email password. Also, go back and find her tax returns from years back. There’s a good chance you can find helpful information there. Many tax returns are deposited by direct deposit. You may not find the exact account number, but at least you may find out which bank she used. You can then bring your Letters of Executorship that our firm assisted you with and take it to the bank manager to help you locate the accounts. While there may not be a central registry where you can inquire about property and assets owned by a deceased family member, there are numerous ways you can search to locate bank accounts and life insurance policies owned by the deceased. Our Louisiana estate planning and succession law firm can assist you with this process and show you the direction to take. Also, keep in mind that this situation can be avoided if you come see us during your lifetime and create an inventory of property and assets and give your chosen executor of your estate or a trusted family member access to this information. This will help them wrap up your estate and put heirs in possession of your property much more efficiently as opposed to having them search all over town and potentially miss something. If you paid for an account, you definitely want your family to have the benefit of those funds and not let them go to waste in a bank account. Come see us at the Andries Law Firm and we will set you up with an estate plan that will alleviate many problems in the future. If you have just lost a loved one and have questions about succession law, please give us a call and tell us your story. This post was written for informational uses only and should not be used as legal advice. Reading articles on this Louisiana Succession Law website does not form an attorney/client relationship with the Andries Law Firm. Please contact our office with any questions you may have regarding Louisiana Successions Estate Planning before using any information contained on this website as the laws are complex and change often. Do not base important legal decisions on articles contained herein, but instead, give us a call to walk you through the process. In what Parish do I file a Louisiana Succession? This is a question that we receive often. It’s fairly easy for people to acquire property in different parishes, especially when they’ve been married and divorced a time or two. An ever changing job market sends people across parish and state lines and back again and this can create a headache when the time comes to split up property between heirs. We’re here to help you with your Louisiana succession here at the Andries Law Firm. At this point, you are probably dealing with a great deal of stress after the recent passing of a loved one or you are plotting out ways to make it easier on your heirs when you pass. Either way, we are here to help you along the way. We highly recommend that you speak with an experienced Louisiana succession attorney at the Andries Law Firm to get additional information that may not be covered in this article. Where do I file a succession in Louisiana? A proceeding to open a succession shall be brought in the district court of the parish where the deceased was domiciled at the time of his death. Movable property of the deceased is situated, if he owned no immovable property in the state at the time of his death. Let’s break that code article down and explain it better. No matter where a person may have property situated in the state, his/her succession is to be opened in the district court of the parish where he/she was domiciled when he/she died. What does domicile mean in Louisiana? This is an important distinction when determining where to file such matters as a divorce or succession. The domicile of a person is the place of his habitual residence. A person may live in multiple places, but can only have one domicile. This means you can own numerous homes, but your domicile is where you intend to stay. In determining which parish to file a Louisiana succession, you must determine domicile to know which district court to file the petition. For example: Bob owns three homes, one in Rapides parish, Avoyelles parish and Grant parish. His main home is in Rapides parish where he dies. His parish of last domicile was Rapides Parish and that is where his succession will be filed. Now that you have a better understanding of domicile in Louisiana, let’s say the deceased had moved out of Louisiana, but still had some of the homes when he died. You would then file the succession in the district court of any parish where the immovable property (homes) are located. Sounds easy? What if the deceased had sold the homes and moved out of state before dying? In that case, you look to find movables such as vehicles or trailers and file in the parish where that property is located. Most Louisiana successions are filed in the parish where the person died, but I wanted you to be aware that there are other scenarios to consider. Is a Louisiana Succession Necessary? Is Probate Required in Louisiana? A succession is a vehicle in which to transfer the estate of the deceased to his successors. This gives the successors the right to take possession of the estate and property of the deceased upon complying with Louisiana succession law. A succession in required in Louisiana whether a person dies with a will (testate) or without a will (intestate), unless there is another way to transfer the assets to heirs. Life insurance, annuities, retirement accounts and IRAs require beneficiary designations and thus have the ability to go directly to the beneficiaries named in the paperwork on the account. This is a great reason to purchase life insurance for your heirs in Louisiana. In these instances, the beneficiary to the account can submit a certified death certificate and a beneficiary claim form to have these assets turned over to them. Any other assets the deceased may have had will likely have to go through the probate process. This includes movables such as vehicles and trailers, as well as immovable such as homes and rental properties. Assets the deceased had in his/her name will not be available to anyone else until the succession is opened. This includes children. Many people believe that adult children automatically control the succession, but this is not true, especially when there is a valid Louisiana Last Will & Testament in place. To answer the question as to whether a succession in Louisiana is necessary, it usually is, but you can set an appointment with us to determine what and where you need to file. How much does it cost to open a Succession in Louisiana? This is another question our law firm received regularly. It really depends. Each parish is different, but usually ranges anywhere from $300 to $700 just to file the paperwork. I have seen differences of $150 or more just based on parish filing fee differences. Attorney fees for preparing Louisiana successions range depending on whether you are dealing with a small succession or a large and complicated succession that is contested. Legal fees for Louisiana successions can range from $1,500 to upwards of $10,000. A typical regular succession that requires filing in the courthouse seems to average roughly $2,500 plus filing fees depending on parish. Set an appointment with us to determine pricing based on your situation. We do succession work in parishes all around the state and can help you with your situation. Louisiana successions can add more stress to an already difficult situation. You may have just lost a loved one and are scrambling to try and put the pieces together and figure out what to do next. 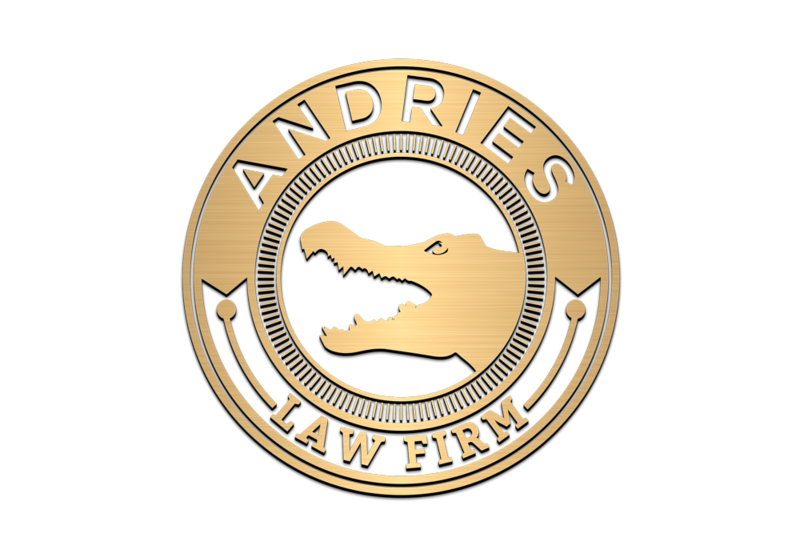 Call the Andries Law Firm and we will gladly walk you through the process and answer your questions. You can schedule an appointment with an experienced Louisiana Succession Attorney by calling (318) 229-1608 or send us an email. Similar Louisiana Succession Articles: Louisiana Usufruct Law, In what parish do I file a Succession?, Does my spouse get the house if I die without a will in Louisiana?, Can you disinherit children in Louisiana?